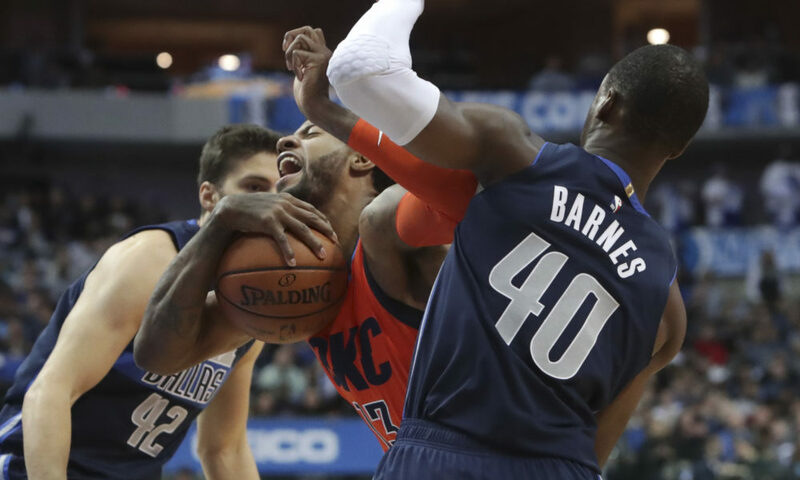 The Oklahoma City Thunder dropped a heartbreaker in Dallas as the Mavericks pushed ahead to 105-103 in the final seconds of the game sending the Thunder home with a loss. 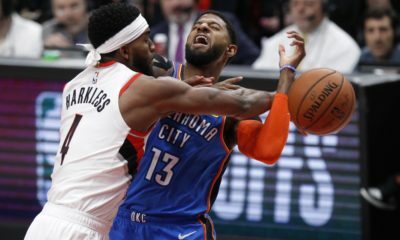 Offense was a major issue for the Thunder on Sunday night as the Thunder shot 43 percent from the field and 24 percent from downtown. Major scorers like Russell Westbrook struggled mightily from the floor going 4-22 in the paint and 0-8 from 3-point range. Although he’s been having a dominant month in scoring, and finished with 36 points in Dallas, Paul George was 50 percent from the field making only 12 of his 24 shots taken, and was 3-11 from behind the arc. 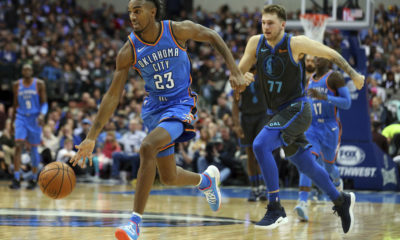 George did score the last 13 points for the Thunder helping the team to outscore the Mavericks 30-21 in the fourth, but with the Mavs playing impeccable defense, drawing fouls easily, and getting a hot hand shooting, the Thunder were unable to close out, therefore picking loss No. 13 of the season. Thunder starter Terrance Ferguson was out for the night leaving Abdel Nader in the starting position, and though Nader was able to heavily contribute to the Thunder’s win over the Suns on Friday with 18 points, he finished last night with 3 points going 1-5 inside the paint and 1-4 from downtown in 17 minutes. 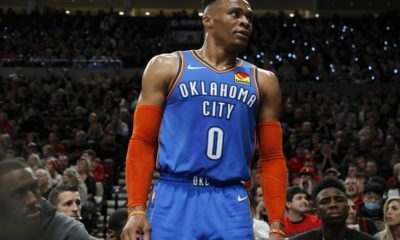 Alex Abrines was out with a stomach illness he’s had to deal with, so Russell Westbrook was called upon to take the Thunder’s final shot with hopes to secure the Thunder’s win. Westbrook expressed frustration in his own performance saying he’s been letting his teammates down, and the loss last night was on him. The Thunder drop to 22-13 in the season, 10-9 on the road, as the team prepares to face Dallas not even 24 hours later, this time on their home court. The Mavericks advance to 17-18, 15-3 on their home court and will be put to the test as they come to Oklahoma City tonight. Watch below for full postgame pressers from Russell Westbrook, Paul George, and Raymond Felton.